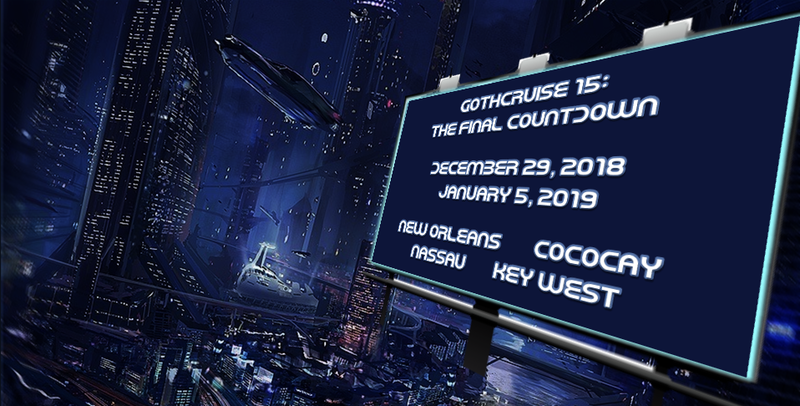 “GothCruise 15: The Final Countdown” is venturing into the future on our timeship, Royal Caribbean’s Vision of the Seas, sailing on December 29, 2018 through January 5, 2019 for a seven-night NEW YEAR’S EVE cruise! 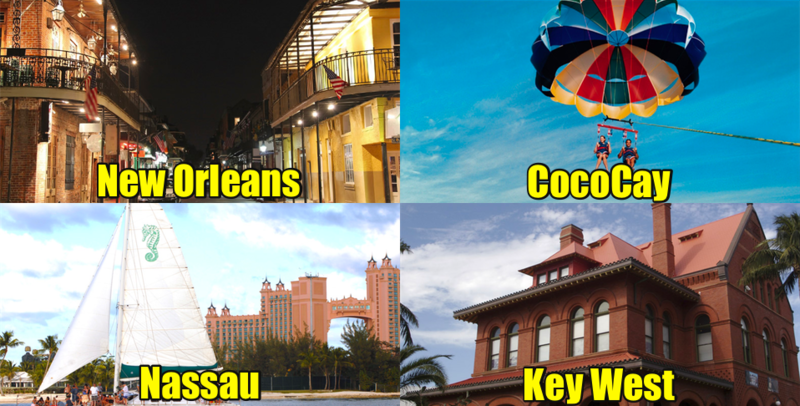 Initial deposit is only $310 per person. 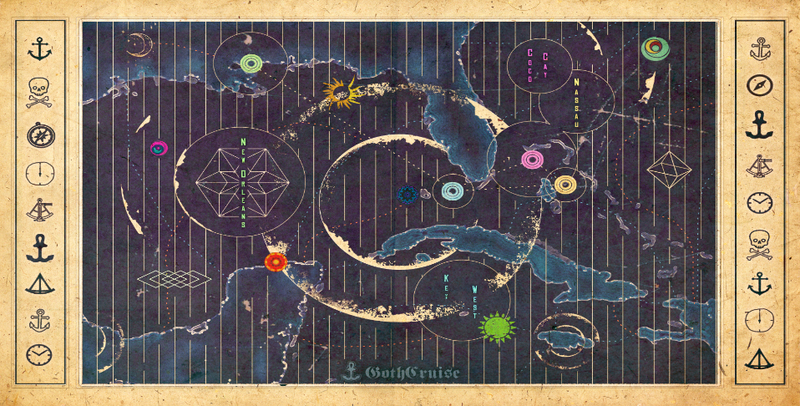 Click on the button below to book your passage on the Fifteenth Voyage of the Original GothCruise! It is quite likely that this sailing will SELL OUT very quickly. DON’T GET LEFT BEHIND! Please get your full deposits in as soon as you can to lock in the prices published on the booking page! Full deposits are required for all cabins. Go to the Booking Page for complete information regarding itinerary, cruise fares and deposit amounts. Cruise with your friends and your friends to be. 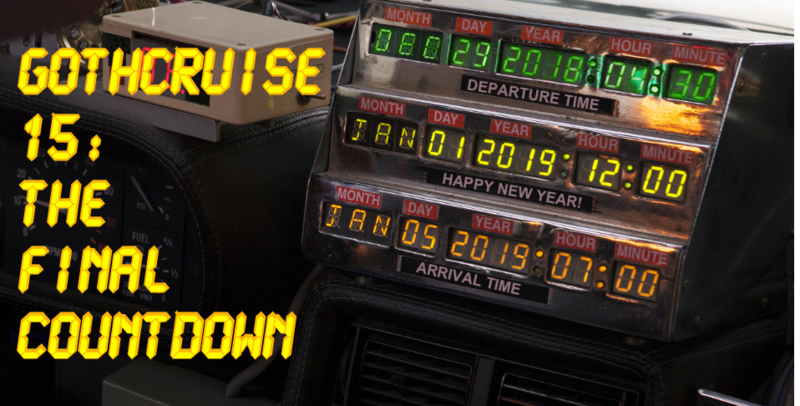 Cruise into the New Year! Exclusive GothCruise Dance Parties with our own DJs! 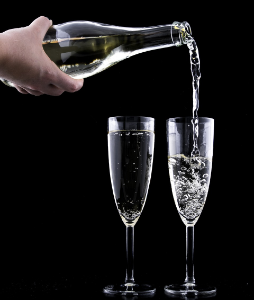 Celebrate New Year’s AT SEA! Did we mention New Year’s?!?!! Safe, Friendly and Welcoming Atmosphere! Goths, Non-Goths, Freaks, Geeks, and Everyone In-Between are Welcome! Booking by the #1 World-Class Professional Group Travel Agency! 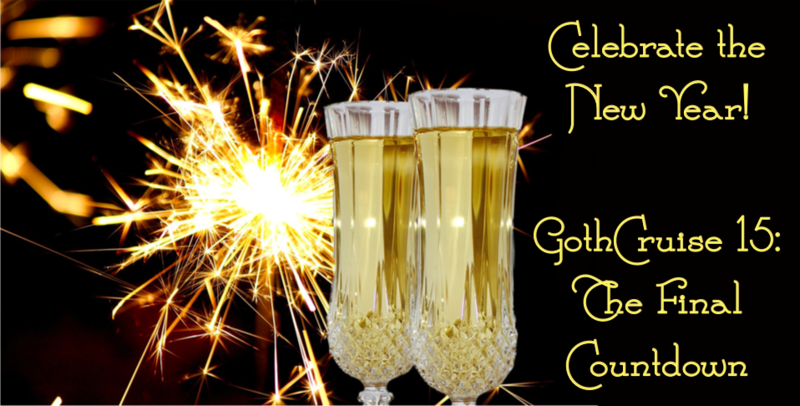 Oh, and NEW YEAR’S with your GothCruise friends AT SEA! The idea is simple: get a group of friends, invite their friends, invite like-minded people we haven’t met yet, put them all on a boat, add rum, hilarity ensues! 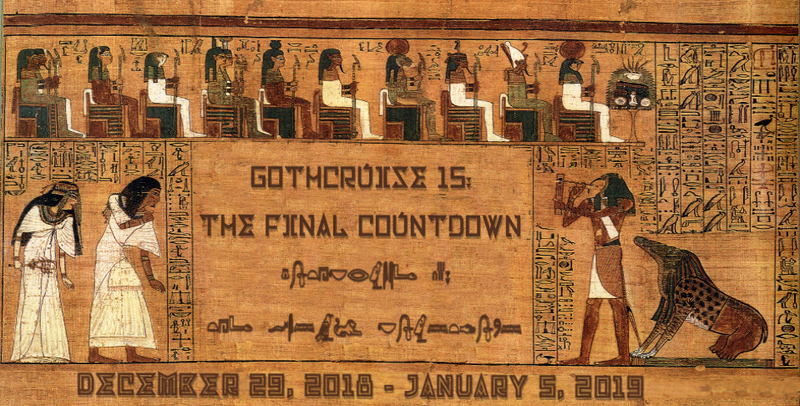 As we pass from the old year to the new, GothCruise 15 takes you through time from the gothic past to the gothic future. 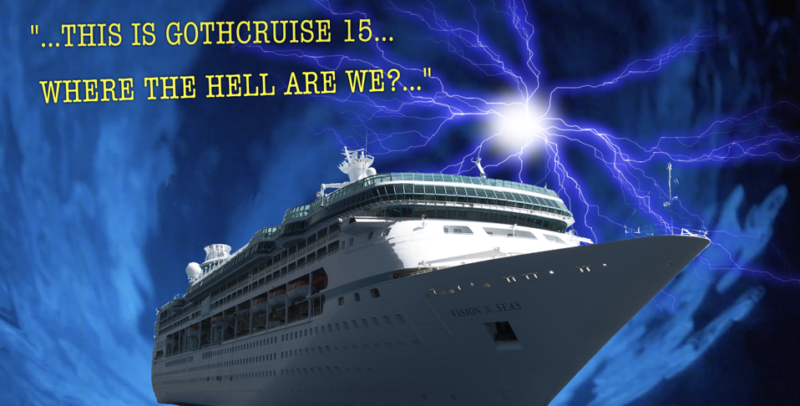 While time travel normally requires something like a time-machine, a phone booth, a police box, an accidental encounter with a mysterious swirling vortex, or a DeLorean, our method of traversing time is our humble cruise ship, the Vision of the Seas, moving into the future at the mind-boggling rate of 60 seconds per minute. It’s a jump to the left and step to the right to that time when you were the most “Goth” you ever were, whatever you define Goth to be. It may have been during the last millenium or it may have been last weekend. 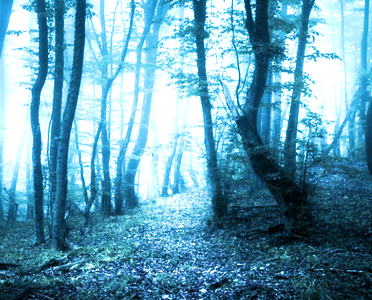 Bring that time back or make this event the moment to let your uber-goth out. 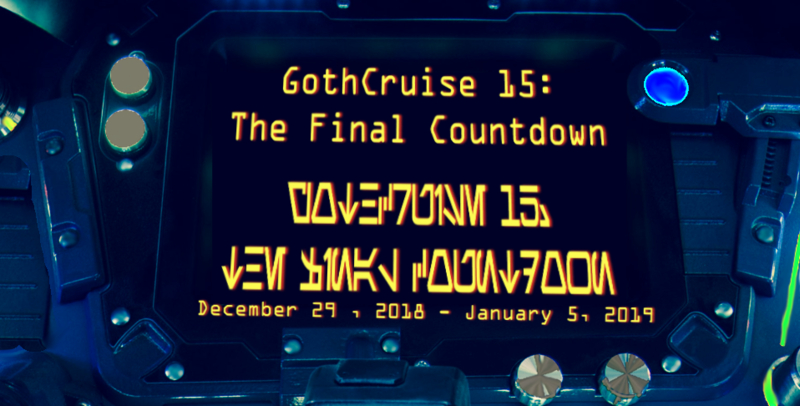 At this point in time we probably will not have an exclusive GothCruise event for New Years Eve, but that shouldn’t stop you from breaking out your tuxedos and gowns to mourn the death of the old year. Put your hands on your hips and pull your knees in tight and you’ll find yourself 300 years in the future on GothCruise 315. 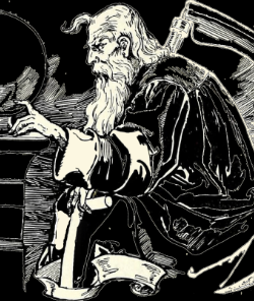 What will GothCruisers look like 3 centuries from now? Will they be Mad Max Post-Apocalyptic Goths, jetpack wearing Outer-Space Goths, or the dark-clad dwellers of some perfect Gothopian society? Pick your future and don your visionary Future-goth Garb for the Goth-Yet-To-Be Jubilee. 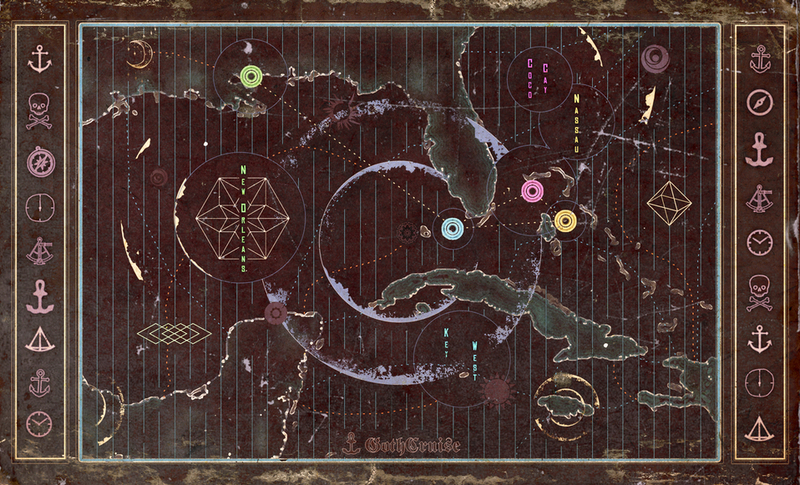 Copyright 2004 - 2018 - GothCruise, LLC.